Children’s birthday parties require more than just a cake and some candles. Thanks to Pinterest, Etsy, and even your local party supply store, birthday parties have become grand affairs, complete with their own theme. We scoured Pinterest and found what has to be one our favorite and most-flexible themes—Animals—with some ideas that are just too cute not to share. Transform these ideas into a baby shower, a toddler birthday, or even arrange events like pony rides and use these ideas for bigger kids too. From the invitations to the dessert and the decor, we have you covered, thanks to this week’s Seen on Pinterest column. 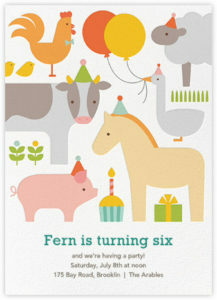 Paperless Post has a slew of adorable online (and paper) invites. 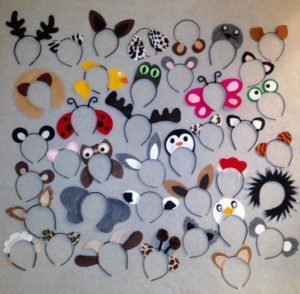 We love these animal ear headbands – and they double as Halloween costumes after they are used! Animals march down the table in this cute party setup. Farm animal balloons add festive flair. 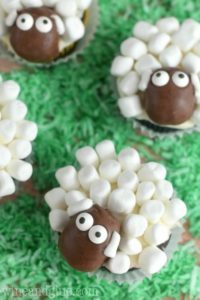 These sheep cupcakes are adorable! Also: Puppies, Pandas, Regular Bears, Polar Bears and more. 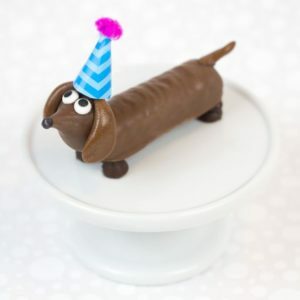 These candy dachshunds have our hearts. Banana slices with nutella and animal crackers make a healthy snack. Animal-themed crudite trays are also healthy. Shape your bread loaves like animals. The kids will go wild. So do these circus animal rice krispie treats, which would also work for a unicorn-themed party thanks to the extra dose of fun-fetti. This turtle fruit bowl is one of our favorite things. 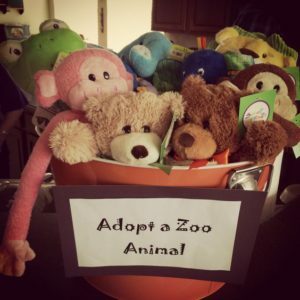 Encourage kids to adopt with this “adopt a zoo animal” basket of cuddly stuffed toys. Each kid can take one home! Replace with puppies, kittens, or any other type of animal for a creative touch.